Input text: Black backdrop. The sun is black. A silver chalice is upside down. A face is behind the chalice. Ambient light is silver. A clear building is left of the chalice. A tree is left of the building. A light is above the chalice. 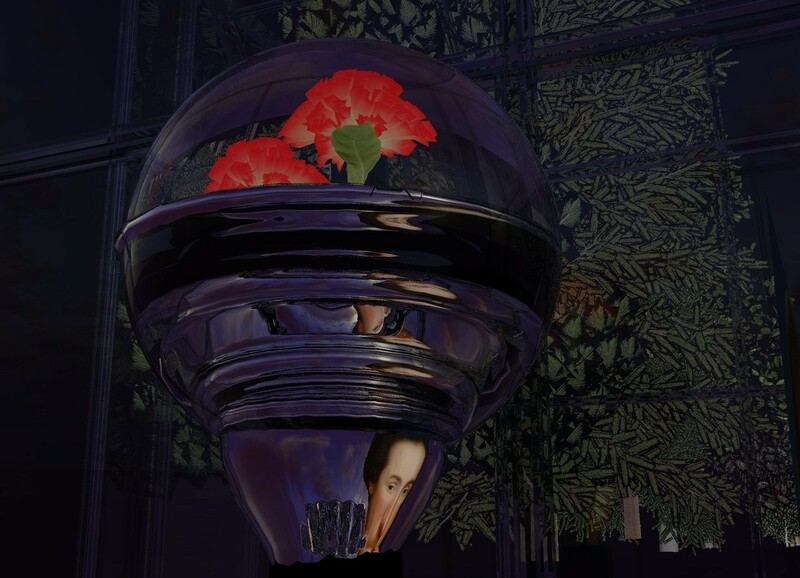 A flower is -1.2 foot above the chalice. Camera light is black. A clear sphere is -6 inch above the chalice.